Sophisticated cable system with many adjustable pull positions. Up to 100 kg tensile load. 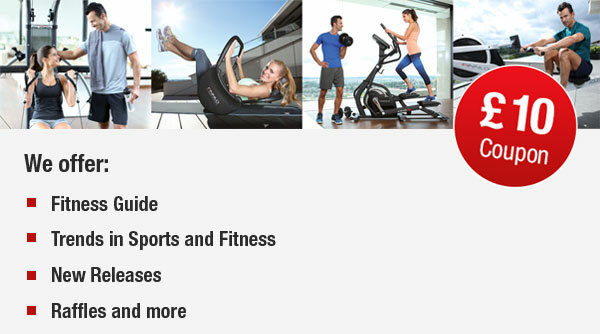 No weights, no noise, loads of exercises - the perfect multi gym for the home. FINNLO’s Bio Force revolutionizes strength-training! Instead of conventional weight stacks, Bio Force uses special TNT resistance technology. Two nitrogen-filled cylinders on the back of the multi gym generate up to 100 kg (2 x 50 kg) of smooth and even resistance without making noise. With its ingenious cable pull system and numerous adjustable pulling positions, the Bio Force multi gym lets you do over 100 different exercises. The four shoulder-level anchorage points per side enable four different training widths for chest and arm exercises so you can target the right muscles. Two foot straps are included for loads of lower extremities exercises, making it easy for you to train your adductors, abductors, hamstrings and calf muscles. 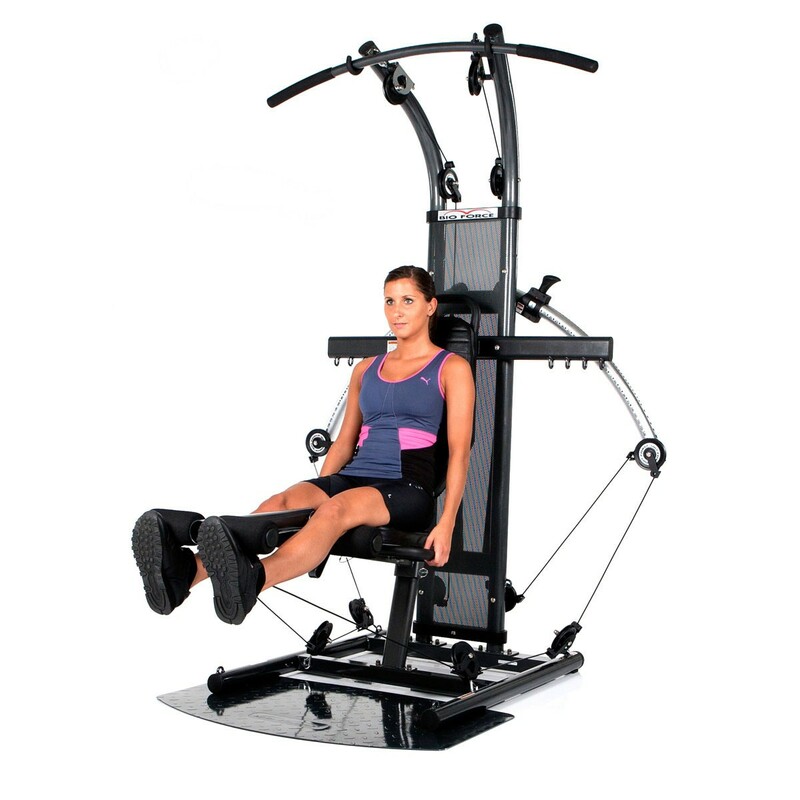 The seat can be easily removed for standing or kneeling exercises. Using detailed instructions and photos, the included manual guides you through each exercise. FINNLO Bio Force – The Men's Health test winner with resistance up to 100 kg. Revolutionary TNT resistance technology: No weights, no noise, sensationally even motion and super-fast resistance adjustment. Studio quality and sport specific training options. 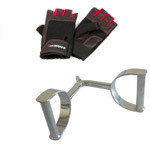 Perfect for fitness training and weight lifting. 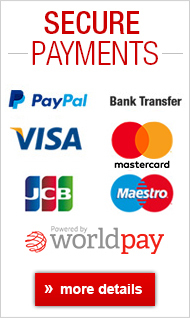 Thousands of happy users! 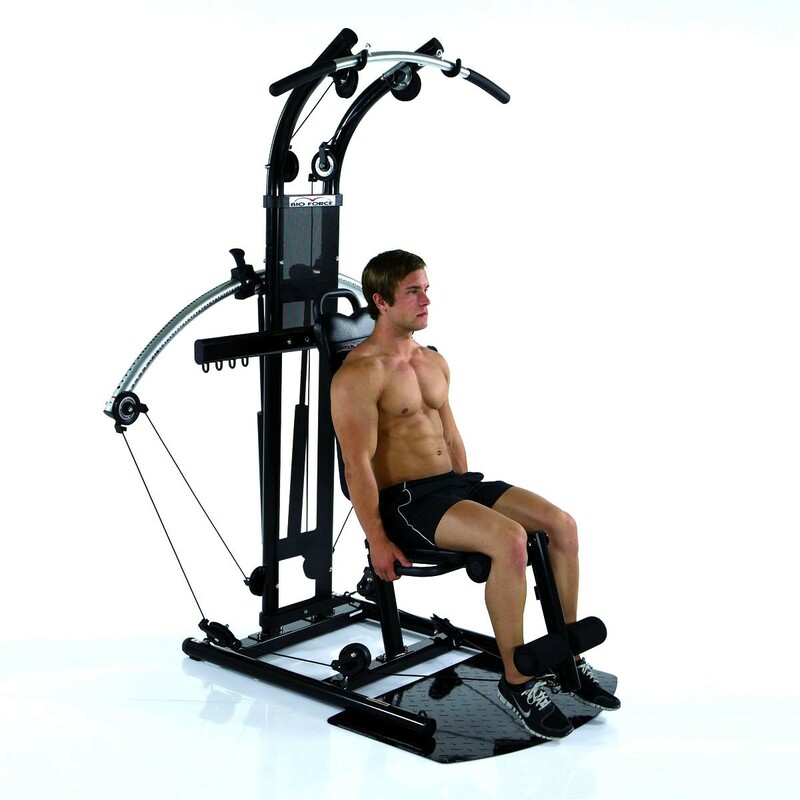 FINNLO Bio Force a professional muscle training station for your entire body. 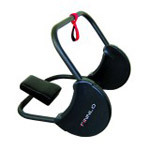 The TNT patented resistance system offers an exceptional even and smooth motion during training. Every muscle group is perfectly covered by one or more exercises. FINNLO Bio Force enables both fast muscle growth as well as definition at gym level. You can get your daily training in at any time without worrying about gym hours. 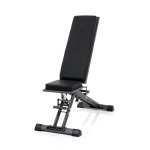 FINNLO Bio Force guarantees training at gym levels, offering a number of professional exercises along with the freeweight motions – all with a compact footprint. No weight discs, no noise – perfect for every flat. 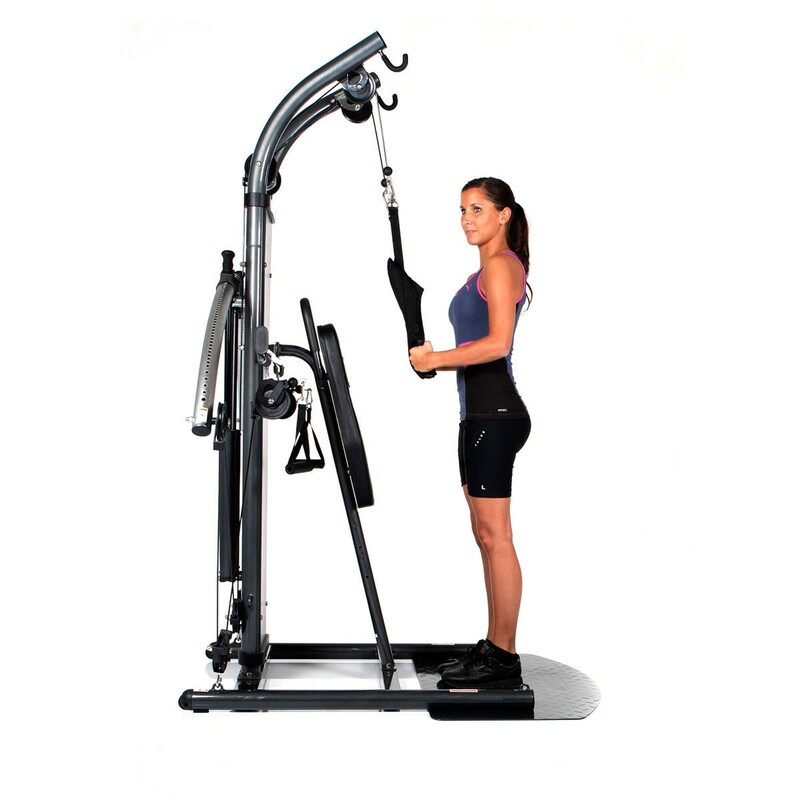 Depending on your training goals, you can build muscles, improve posture or train important muscle groups for your sport with the FINNLO Bio Force weight station. By varying the exercise intensity and reps, you can improve various types of strength: Maximum strength, speed, reactive strength and endurance. After just 4 weeks of training with the Bio Force from FINNLO and you'll notice considerable effects with your strength gains and muscle definition. Targeted, isolated muscle growth is made possible with numerous exercises with free range of motion. Your body will be completely and functionally trained. With TNT resistance technology, the FINNLO Bio Force is the world's first home fitness device without conventional weight blocks. 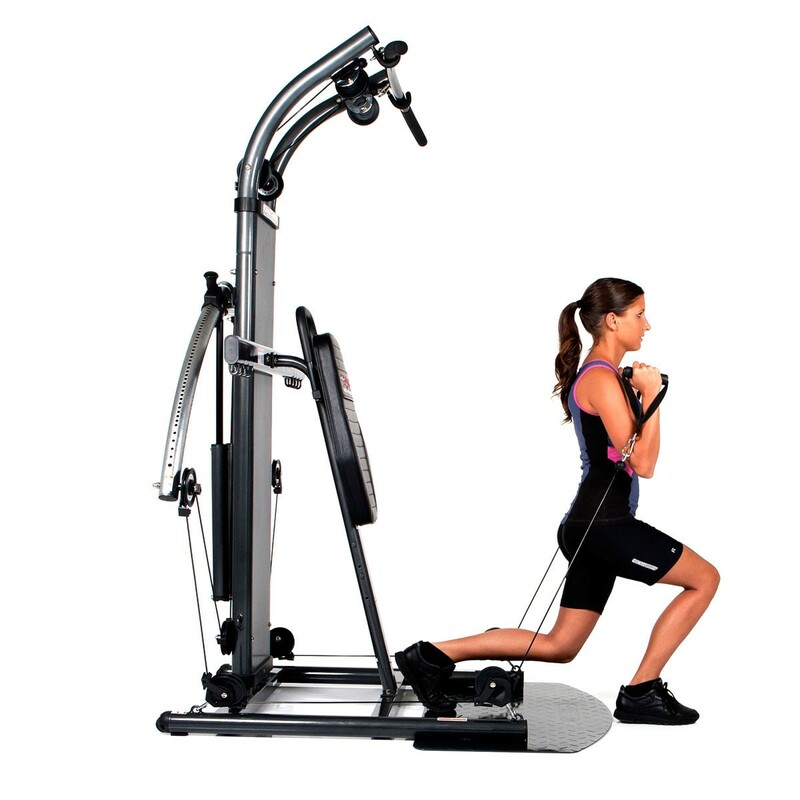 The TNT system consists of cylinders filled with nitrogen, which generates especially effective and even resistance over the entire exercise movement. Training is not only completely silent, it's also perfectly suited for flats and has a special safety benefit for households with children, as there are no weights that can fall on one another. 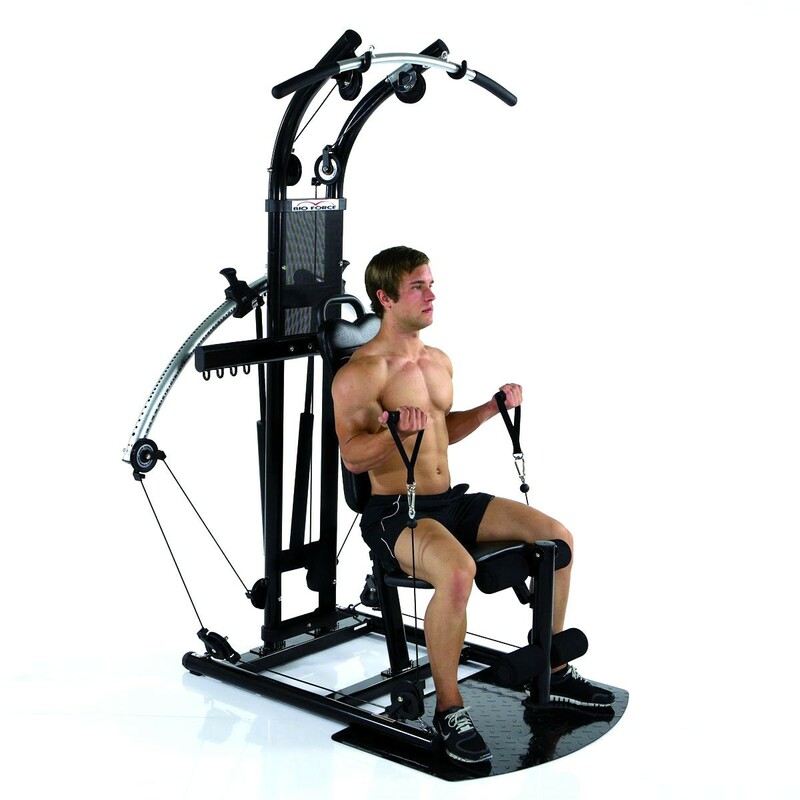 The one-hand adjustment is another benefit of the FINNLO Bio force when compared with conventional multi gyms on the market. With a few seconds you can adjust the resistance and intensity of your exercise without standing up. 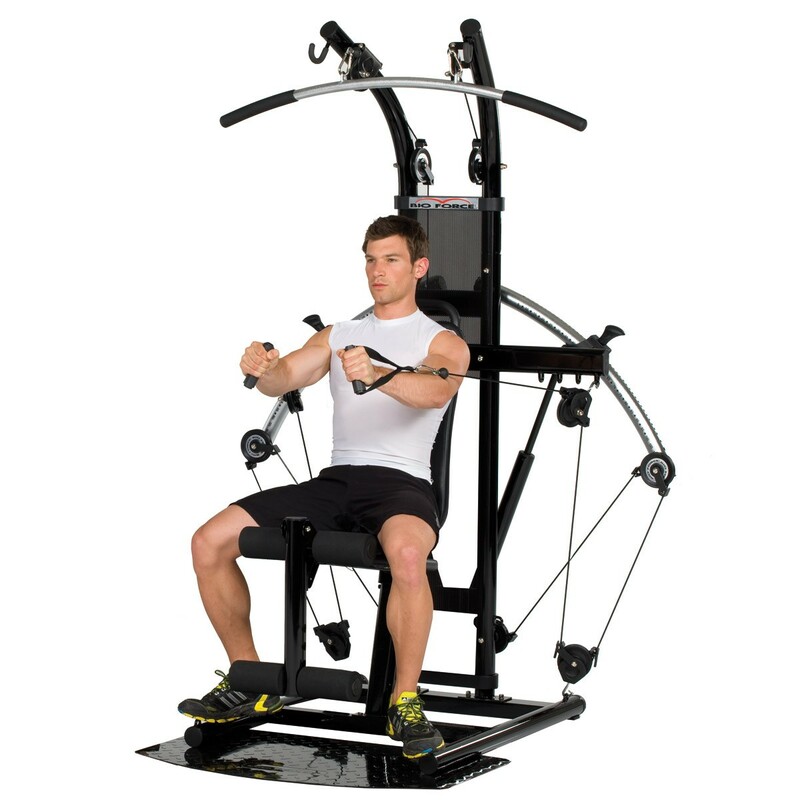 The system is especially well suited for super sets (quickly changing the resistance during the exercise set for higher muscle stimulation). 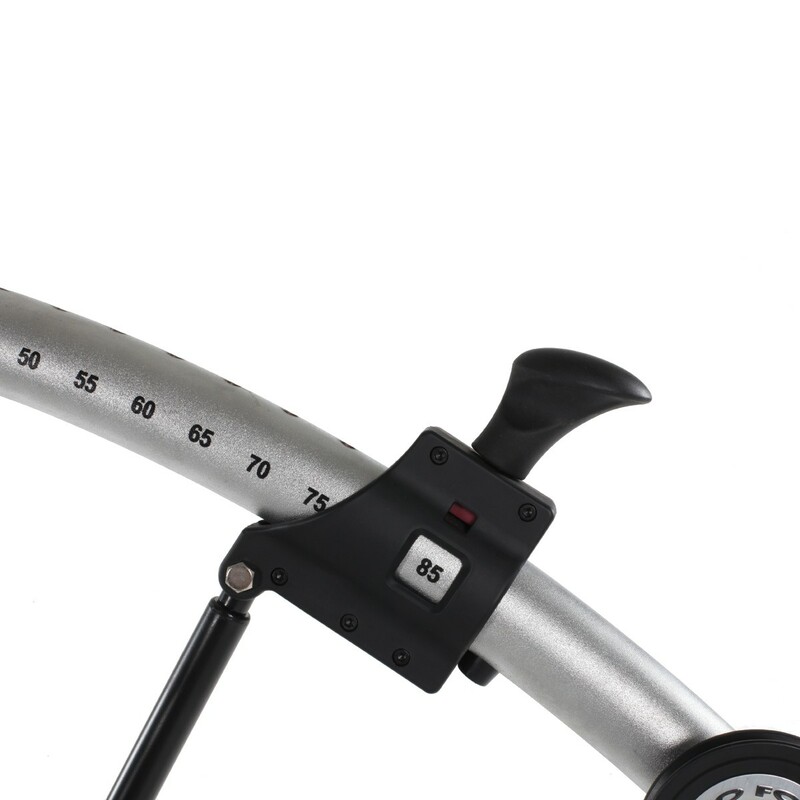 The resistance can be adjusted precisely in 2.5 kg increments up to 100 kg. 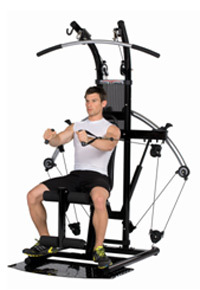 The bilateral resistance control can also be used for compensation and balance training for the weaker side of the body. This property is usually found only in professional gyms. 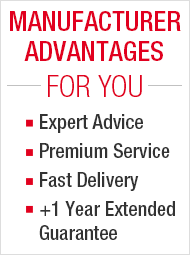 The Bio Force cable system offers especially flexible training options. 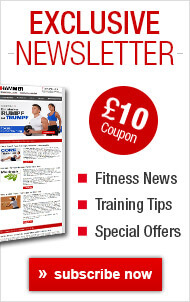 You can put together your own training programme from over 100 different exercises. You can also switch into another motion easily during an exercise set. The FINNLO Bio Force includes a detailed manual that describes and illustrates start and end positions and an overview for women and men for optimal exercising. Everything is neatly placed in a premium nylon folder. The ergonomic, comfortable seat can be removed in a few easy steps. 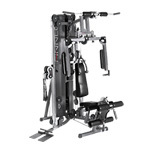 This allows for exercises like abductor and adductor training, standing curl exercises, cross cable exercises and many other professional exercises. The seat can naturally be adjusted vertically to fit your individual height and body. FINNLO Bio Force is suitable for users over 2 metres tall. The plastic case can be perfectly integrated into the multi gym and makes a practical place to store accessories. This way, everything remains handy during your training. 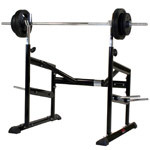 For professional bench presses, incline bench presses, rowing, shoulder presses, latissimus pulls, etc. The FINNLO Bio Force is painted in a sleek and sporty black-anthracite. The premium, symmetrical design integrates perfectly into any modern décor. The Bio Force is a multi gym that doesn't have to be stowed away in the basement. Place it prominently in your living area to remind you daily of your fitness training, and you can even sneak in a few sets during the day. Thanks to the sturdy transport rollers and a low product weight of only 76 kg, the weight station can be moved around without problem. The innovative TNT resistance system (total nitrocell technology) replaces conventional weight blocks. With a light product weight of 76 kg, the Bio Force can be moved easily with the transport rollers. The handy sliding fastening mechanism allows you to adjust the resistance within seconds – all without having to stand up. 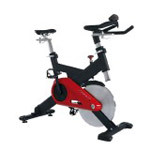 Turn, adjust, continue training – so convenient and easy! 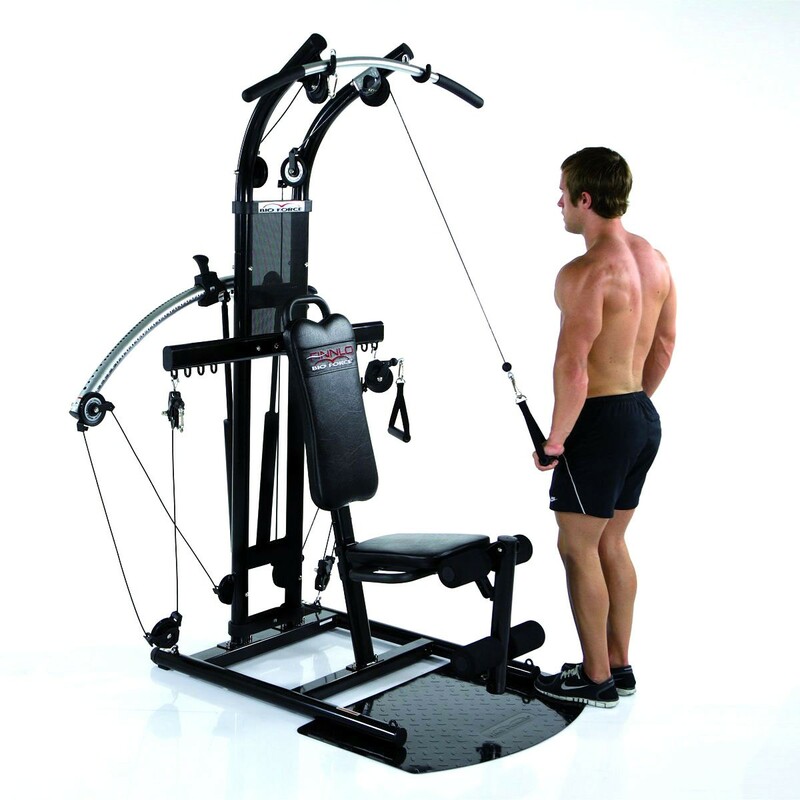 The flexible cable system offers over 100 different exercises. 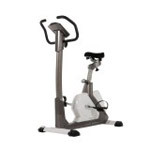 You can change from one exercise to another seamlessly and comfortably. All of the exercises are illustrated in a clearly-arranged manual with start and ending positions. A training poster for men and women is included. This are all conveniently packed in a premium nylon folder. 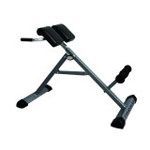 You can enhance your exercise options perfectly with the Bio Force power bench (item no. 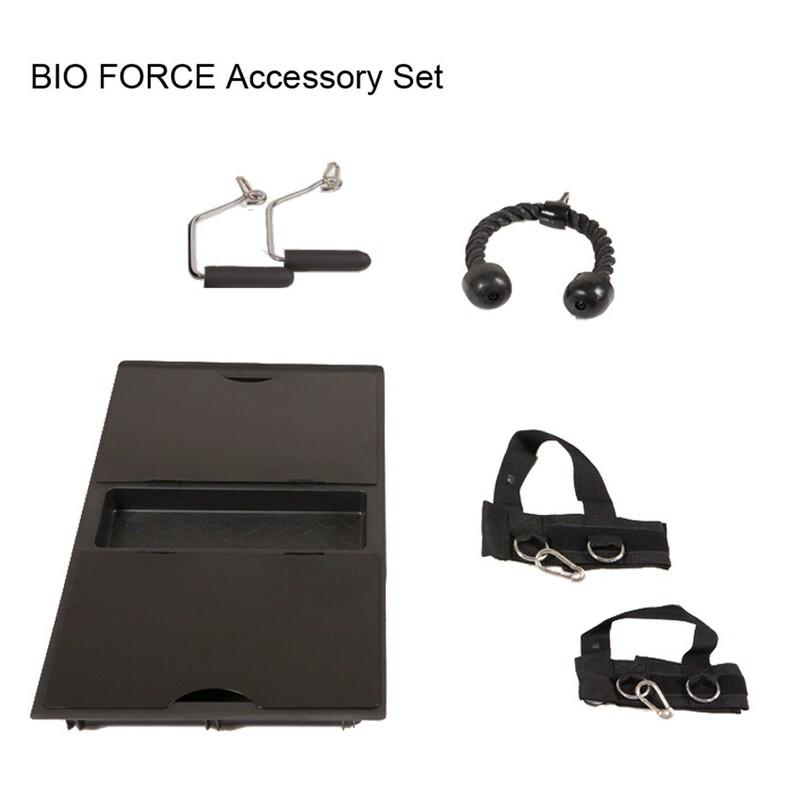 3817) and the Bio Force accessory set (item no. 3811). Test winner in the world's largest men's fitness magazine Men's Health (rating: very good). Now with resistance from 2.5 to 100 kg. Exercise variations like the butterfly, bench press, latissimus pulls, leg curls, arm curls, rows, tricep presses/pulls, leg presses, leg extensions, ab training, bilateral training, neck presses, etc. 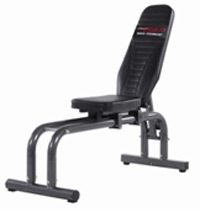 Expandable with the Bio Force power bench (product no. 3817) and accessory set (product no. 3811). More than 100 training possibilities! I’m thrilled. I’m feeling muscles again that had been hiding for years!!! Very high-quality product, easy to assemble. My wife also has a lot of fun with it!!! It's fun and makes you feel good. The assembly went by without any major problems. However, a wrong labelling between the instructions and the screw package caused some temporary frustration. The initial exercises went perfectly well. It's fun and makes you feel good. My wife also likes it a lot. We do not regret this purchase. The assembly was really easy. Everything was clearly explained. The exercises are clearly described step-by-step and really make training fun. My family loves it. Very helpful assembly instructions, parts intuitively arranged, especially the screws. This made assembly a breeze. 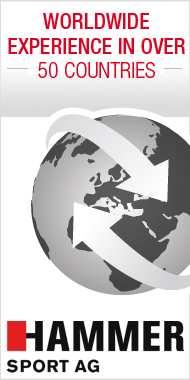 Hammer provided perfect service from order, to payment and to delivery in Switzerland. The gym will win you over with its solid construction and easy operation. 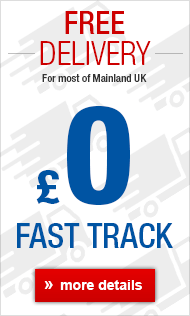 Fast delivery, great packaging and the machine has totally convinced me. 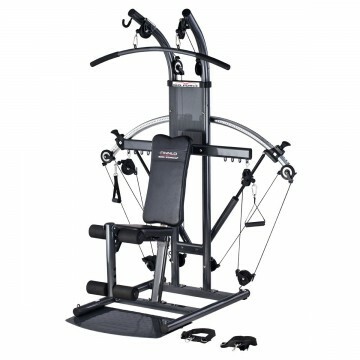 The Bio Force multi-gym is the most versatile piece of equipment I’ve ever used, plus it’s absolutely silent. 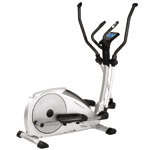 It's very easy to operate, and switching between exercises is a breeze. Everything is explained very clearly. Unfortunately the DVD is in English, but that’s actually not a problem. The 80 kg of resistance is totally sufficient for someone who is not a professional athlete. It's too bad that the 8-week training plan is not available for download (or I haven't found it yet). 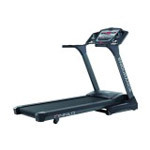 I bought a piece of fitness equipment from you several weeks ago. However, I still haven’t gotten the hang of it completely, especially since the video is in English. I’m really thrilled with both the (compact) size of the equipment with all of the functions I'll hopefully soon master. It's easy to set up, goes up quickly with two people, good instructions, everything is packed in an orderly fashion. It doesn’t take up too much space, is not that heavy, can be moved thanks to built-in rollers. I’ve only had the multi-gym for a few days, but can already say it makes a great first impression. It features high-quality construction. Unlike an inexpensive system, everything fits together perfectly. Lots of workout options, all of which are relatively quiet, since there are no weights banging together. Nice service over the phone. Delivery was as promised. Only the shipping company failed to meet their end of the bargain (did not even have a hand truck), leaving me to figure out how to move two 40 kg boxes into my apartment. It came perfectly packed in two boxes. There were no screws to sort. They were all sealed in a carton and labelled by size and step. The assembly would have definitely been easier had I watched the video before starting. But it’s up now. It’s made of high-quality materials and is even more impressive than it looks in photographs. We’ve done the first wave of exercises and are already seeing positive results in our muscles. This is no toy. It was the absolute right choice. Very sophisticated system, the design is thorough, good workmanship. 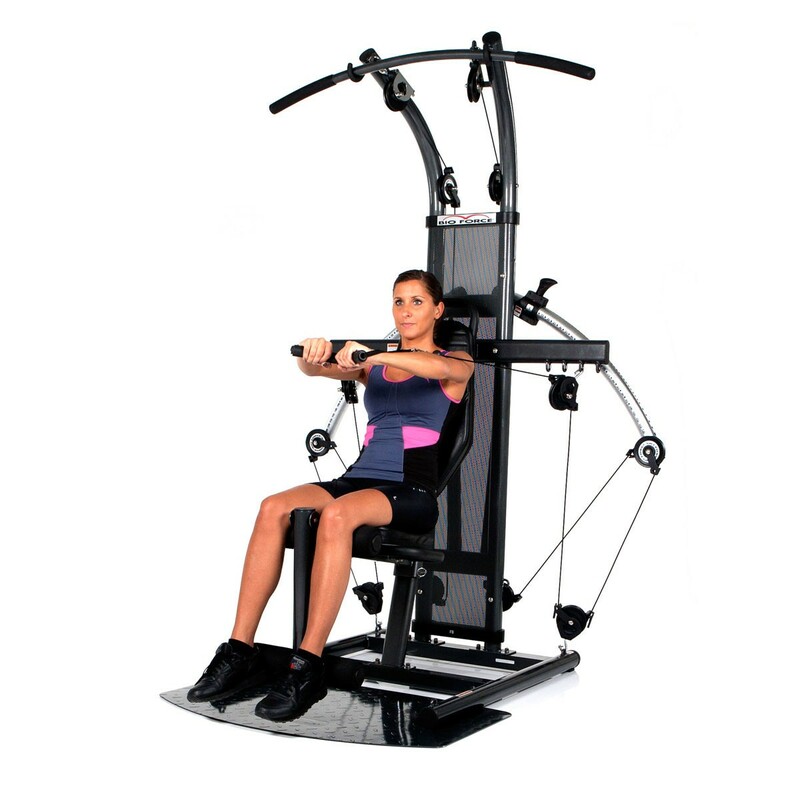 Minimal space requirement since everything is included in one machine; the workout plans are suitable for everybody and easy to comprehend. The assembly is easy, even for people with two left hands. A great all-rounder. Fun and fitness for the entire family. Innovative product with a good cost-performance ratio! I've been using it for 2 years without any problems. What a versatile piece of equipment!! It would be impossible to list everything you can do on it. I'll say this much: It’s rugged and easy to use. It runs as smooth as silk and is above all silent! The design will wow you, and the exercise DVD is extremely good at presenting everything there is to know about the equipment. You can even attach different modules that are sold separately. This equipment rocks! 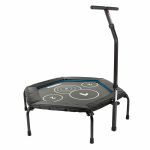 All possible exercises are easy to set up, and it lets you change resistance instantaneously (just pull the handle and slide to the desired level). It’s the top seller at my shop. The instructions are very informative, and the exercise DVD gives a great overview of all of the exercise options. Resistance is provided by nitrogen cylinders that work great. The seat is also removable, letting you exercise standing up as well. It’s also great for tall people (up to 2 m). A real hit all around! Great piece of equipment. 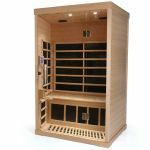 It is particularly light, does not take a lot of space and it's easy to move around the apartment. One can also do lots of exercises on it. The DVD provided is great. I can highly recommend it to anybody!!! An excellent multi-gym with loads of options. The weight can be adjusted quickly for different exercises. The assembly is a breeze thanks to great instructions. Excellent customer service in Kaiserslautern, Germany. Thanks again!! The Bioforce is a clever all-in-one concept that seems to be particularly interesting for power athletes who are not so professional. 2. The machine is virtually silent and shock-free. 1. Inadequate options for adjusting the height of the seat. A problem for people taller than 1.80 m and with long arms. No option to adjust the height of the seat downwards, which means that one has a very cramped seating posture when doing latissimus pull-downs. Conclusion: The target group is the decisive factor here. A good alternative for not-so-enthusiastic people with little space available. Not really suitable for professionals and tall people. 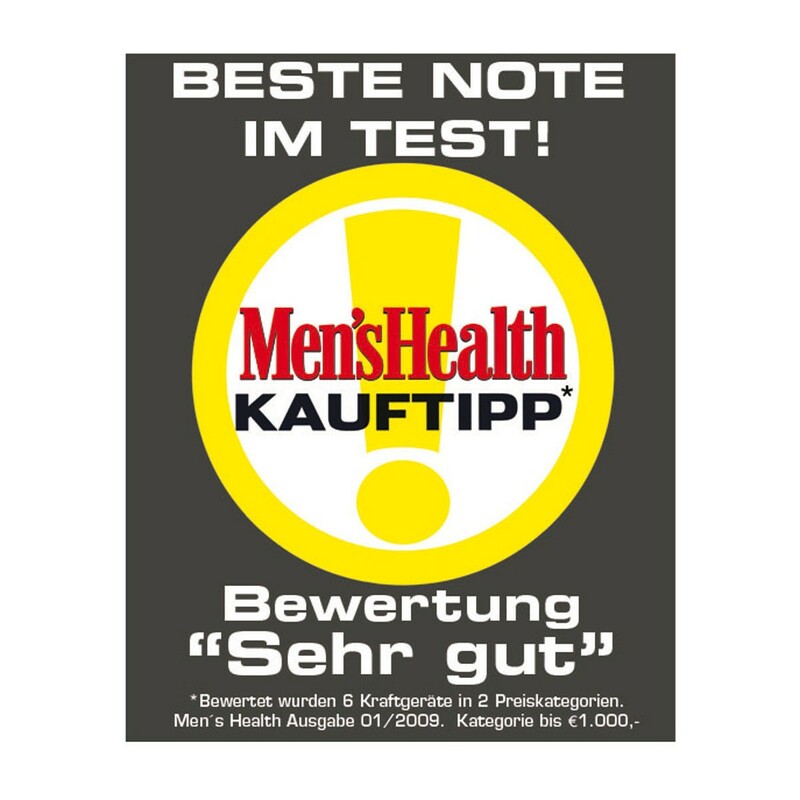 First about Fitness.de: My compliments for the good service, the good advice and the free home delivery, which worked splendidly. Thanks to the instructions, the assembly was a piece of cake. We (2 people) needed about one and a half hours (with unwrapping). We have also tested the machine in the meantime and I have to say wow! I think the investment was well worth it. A fantastic instruction manual, lots of exercises that look promising, and easy to use. There is also a DVD which shows exactly all the things one can do wrong and how to do use the machine correctly. I think this is very important. Without a fitness trainer you never know if you're doing the exercises correctly. The only small criticism I have is that the DVD is in English. But since my English is quite good, this wasn't a problem for me. Otherwise one can also watch the movie because it shows what to look out for. All in all I really like the machine! I tested this workout equipment today. 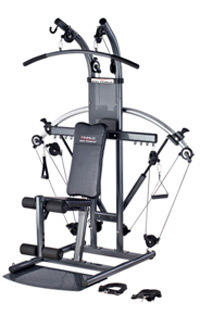 The sheer variety of the exercises one can do with this machine is truly impressive. All without any weights. 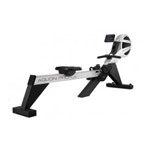 An innovative system with a nitrogen resistance system ensures a silent workout. So it's very suitable for apartments with thin walls. The total weight of the machine is around 80 kg. So it's also pretty easy to transport! 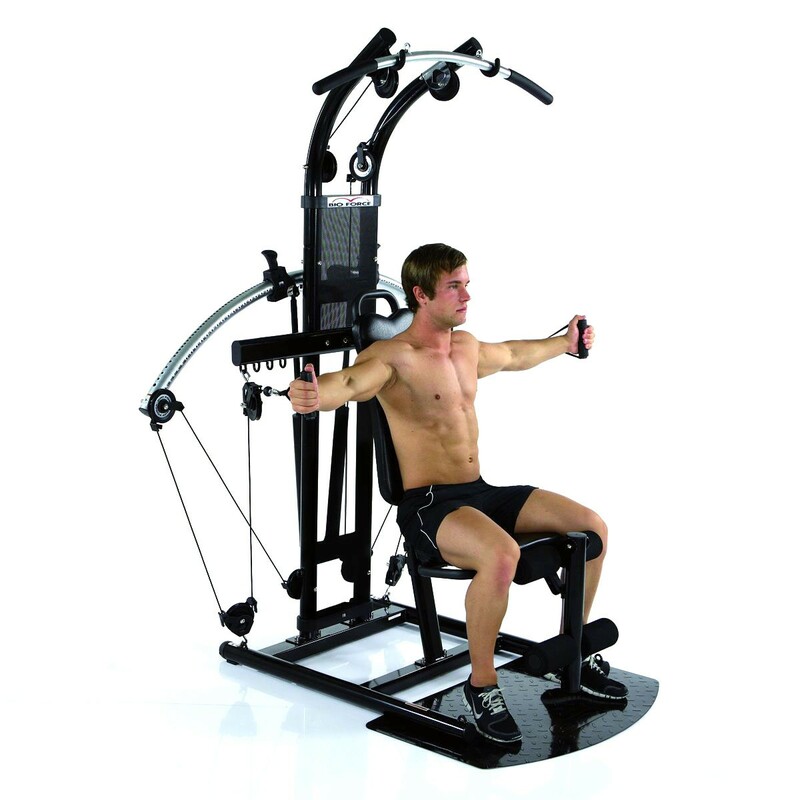 One can do about 100 exercises with just one single machine. 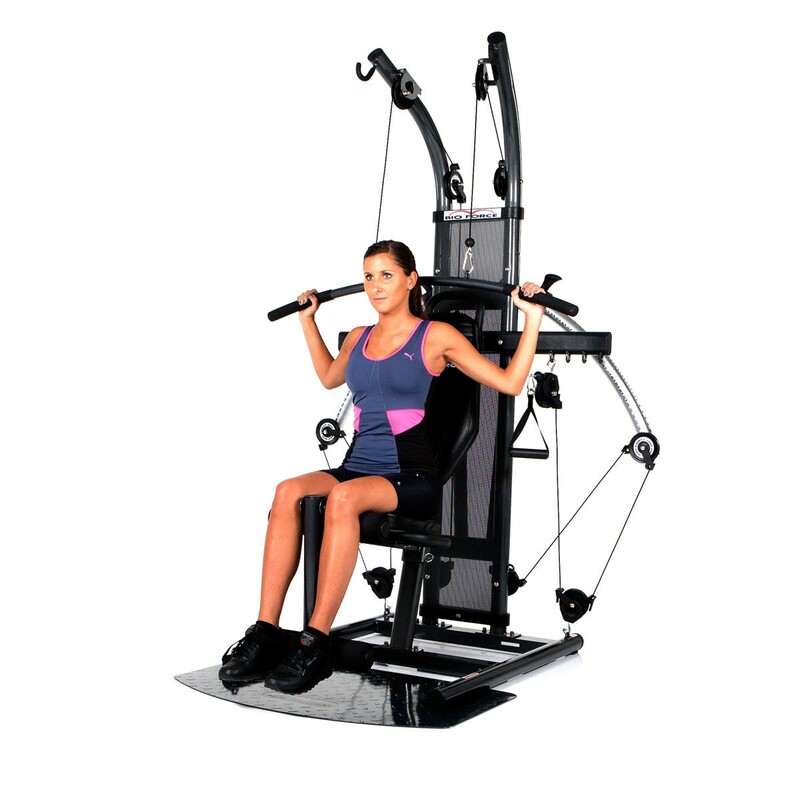 And the good thing about it is that the exercises are illustrated not only in a manual, but also on a DVD which is included in the delivery of the machine. Boring workouts are thus a thing of the past! One only has to adjust the pulleys to be able to do a different exercise or train a different group of muscles. The only flaw is the way the pulleys run. They could run a little more smoothly and evenly. If this were optimised, the machine would be virtually perfect for home use! The equipment was expertly packed. The perfect instructions made set-up very simple even for one person working alone. Because it has no weights, it’s extremely quiet, and you do not have to worry about children getting their fingers caught. What you must know first off is that the built-in rollers work only if the gym is not resting against a wall, since it has to be tilted about 30° backwards before it can be moved. The designers could have done a better job here. The training plan included with the manual is the perfect guide for beginners. It could be improved, though, by referring the user to the detailed descriptions of the individual exercises (which are numbered anyway). Otherwise, the user has to find a way not to spend too much time looking up the exercises before mastering them. The sequence of the individual exercises in the training plan could also be rearranged so that you do not have to constantly reconfigure the gym. 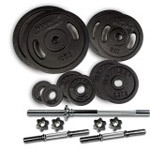 Bottom line: this equipment is just right for an amateur not training to become Mr. Universe. It’s an incredible bang for your buck if you look at the number of possible exercises it offers and compare it to the cost of several years of membership at a gym. High-end machine, free home delivery, perfectly packed, easy to assemble, the standardised screw packaging provides for a clear overview. The advice and delivery by the team in Kaiserslautern was friendly and competent. Dear Hammer team, if working out with the multi-gym is just as much fun as the order process (which has been exemplary thus far), the professional packing of the product, the very user-friendly assembly and exercising instructions, then I have made the right choice :-). Would purchase it again.